Tarte au riz a l'impératrice (Rice Tart Empress style) was named after Eugénie de Montijo (1826-1920) wife of Napoléon III, French emperor, therefore she was the French empress from 1853 to 1870. Why the rice tart was named after her I have no clue! Tarte au riz à l'impératrice is a very rich rice pudding made with whole milk, egg, sugar, overnight macerated rumraisins, and topped with a layer of caramelized apples. This version is from Francois Payard the famous French Pâtissier which I have a chance to visit his Pastry shop & bistro in Las Vegas. 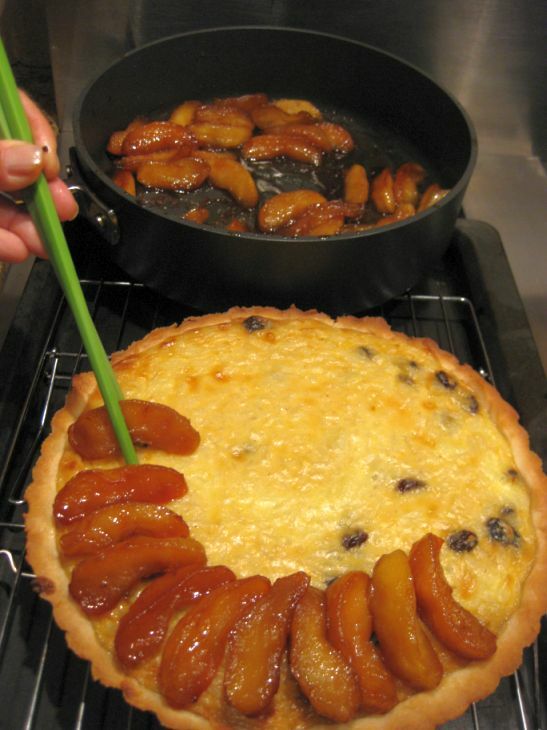 Francois is great pâtissier and his version of the Tarte au riz a l'impératrice does not disappoint. 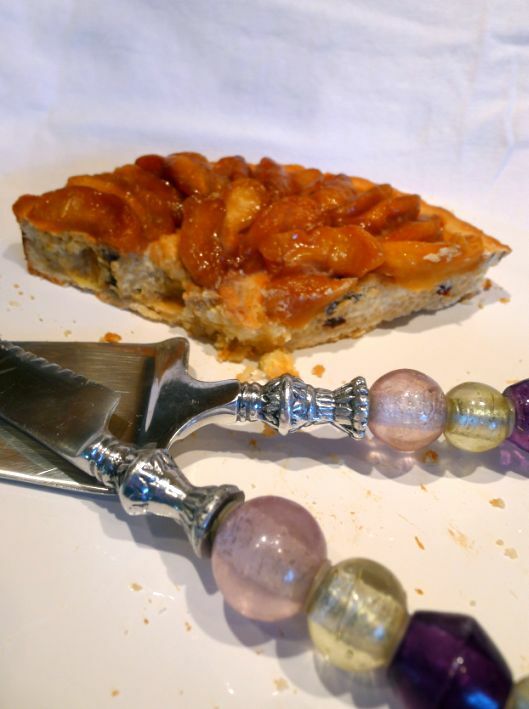 The tart do requires some extra effort but the results are impressive and worth the time. 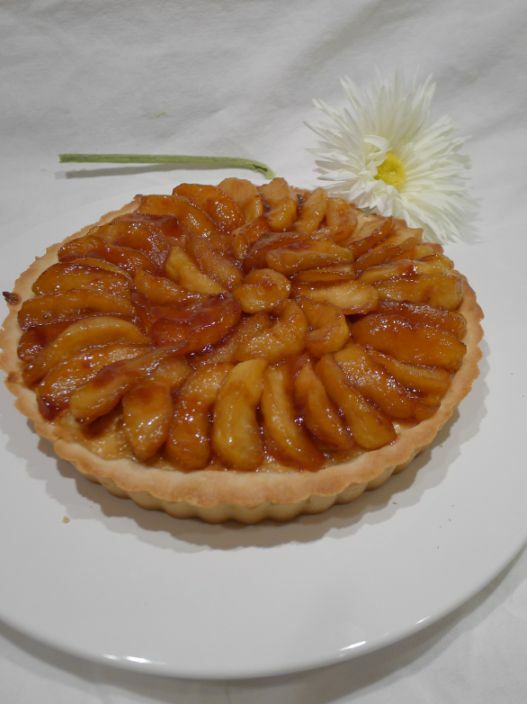 The tart is beautiful and also delicious! 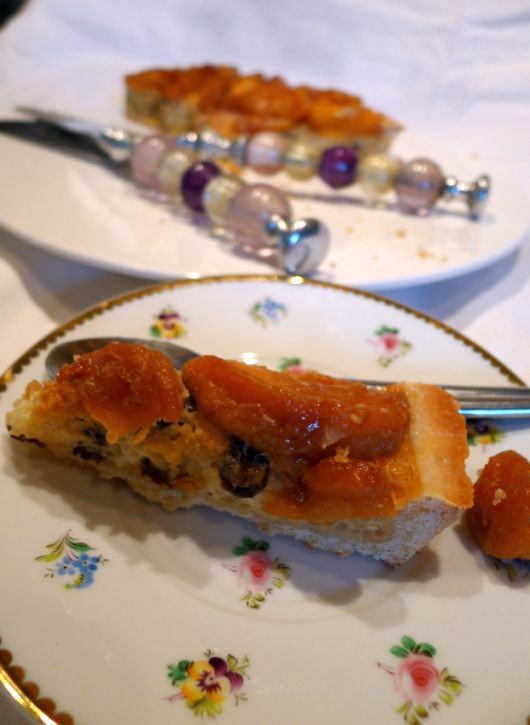 The dough is make with a pâte sablée (meaning sand in French) which has a sweet, sandy texture and is perfect for making custard and fruit tarts. 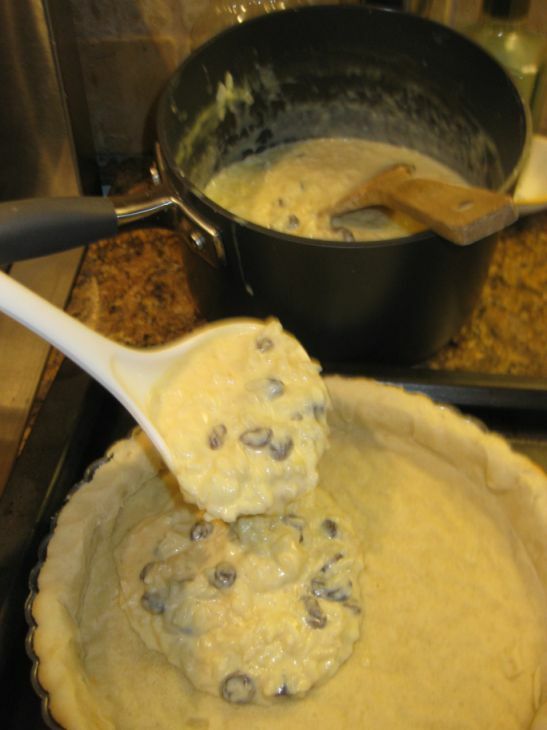 Rice pudding is a favorite comfort food and this Rum Raisins Rice Pudding tart recipe really delivers! 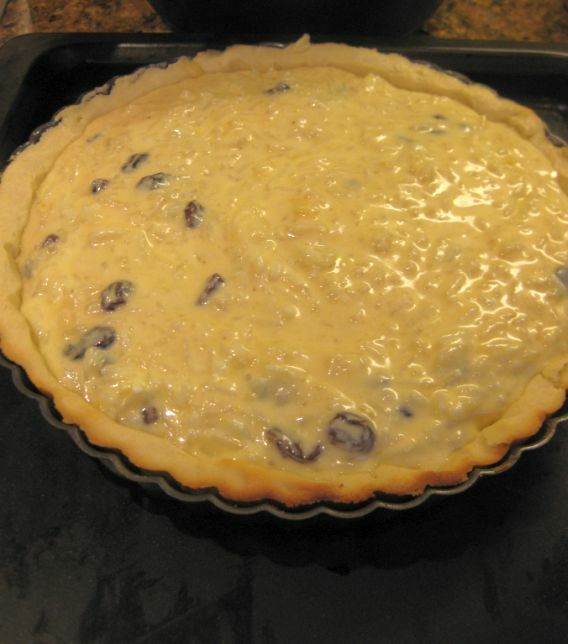 Rich, creamy and smooth with the warm flavor accent of rum soaked raisins gives this rice pudding tart a perfect dessert. It can be eaten warm, room temperature or cold. You can also serve it with a scoop of rum raisins ice cream. 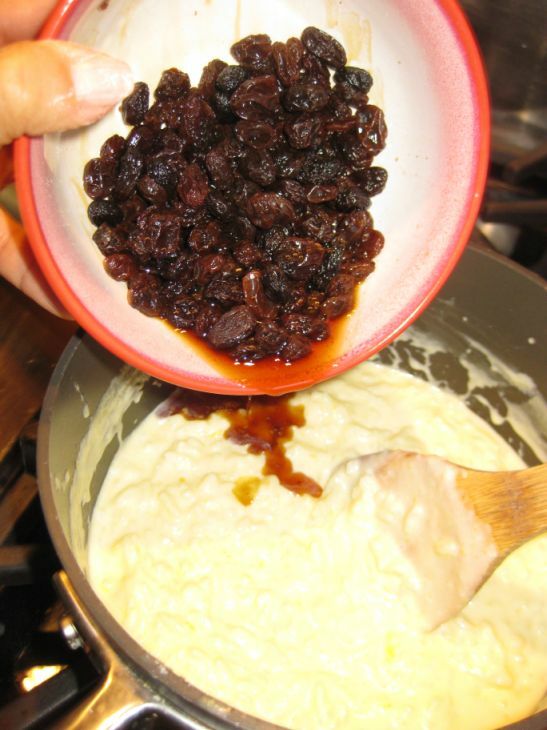 Note: please soak the raisins and rum in a small bowl, cover, and let soak overnight! 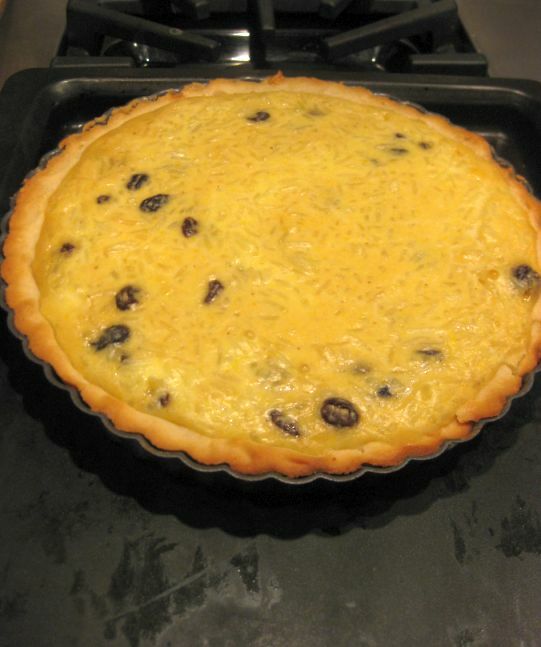 Start one day before making the tart. 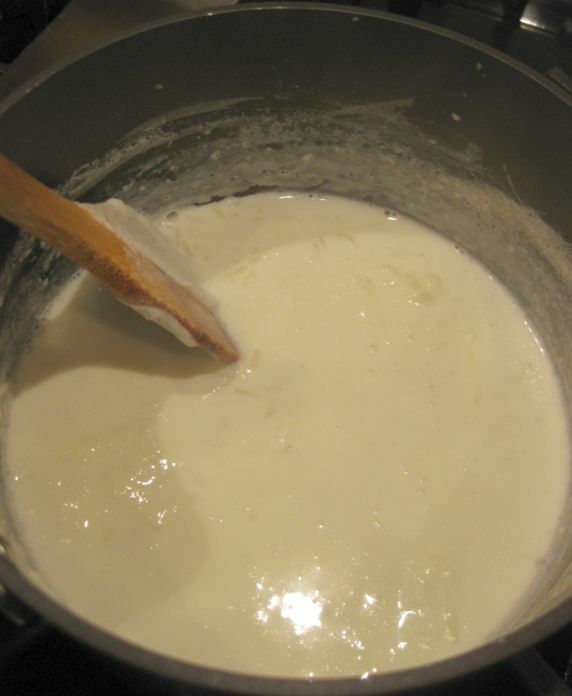 In a medium saucepan, combine the milk, salt and sugar. 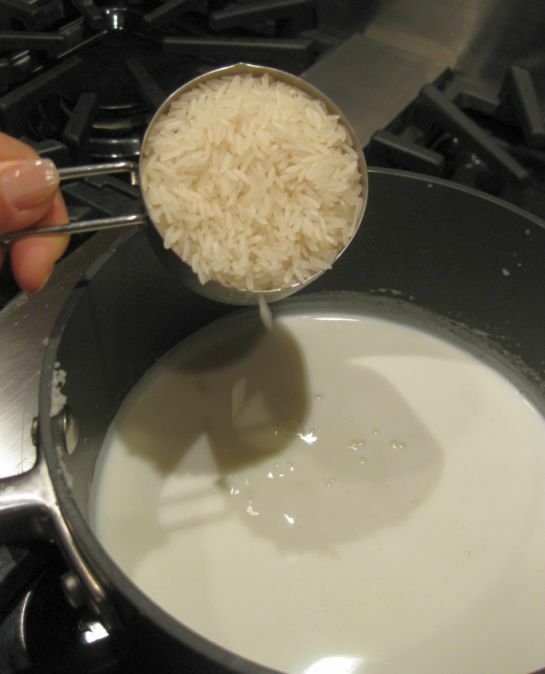 Bring to a boil, then add the rice. Simmer about 14 minutes, or until the rice is cooked and then turn off the heat. 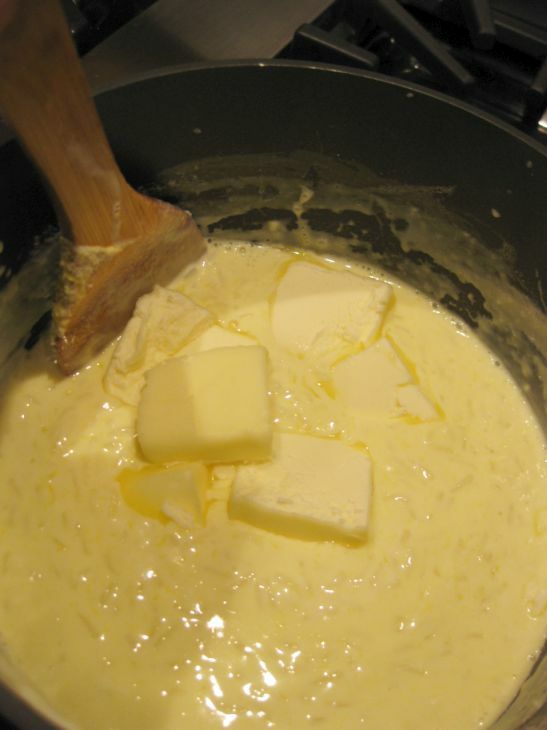 Add the butter and vanilla and stir to blend. 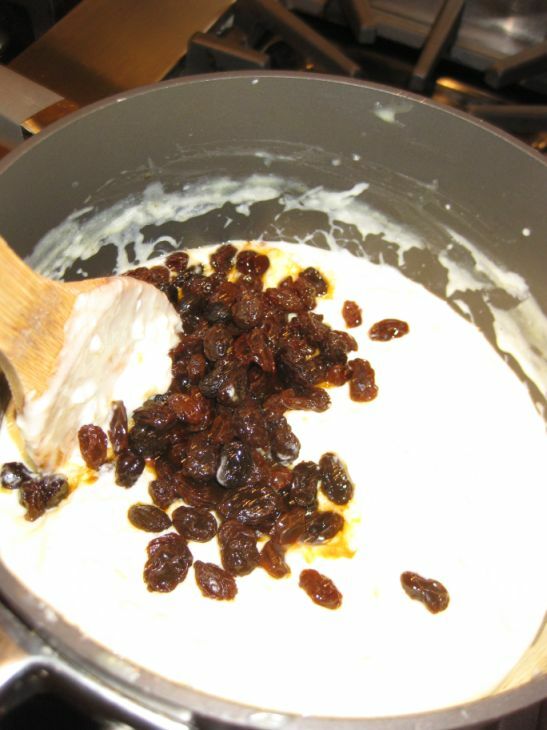 Pour the raisin that you have soaked overnight into the saucepan. 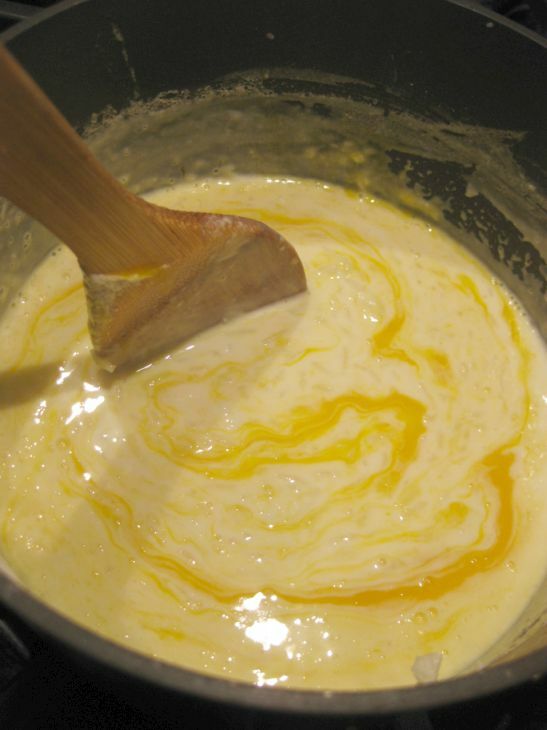 Stir to blend all together. Set aside. 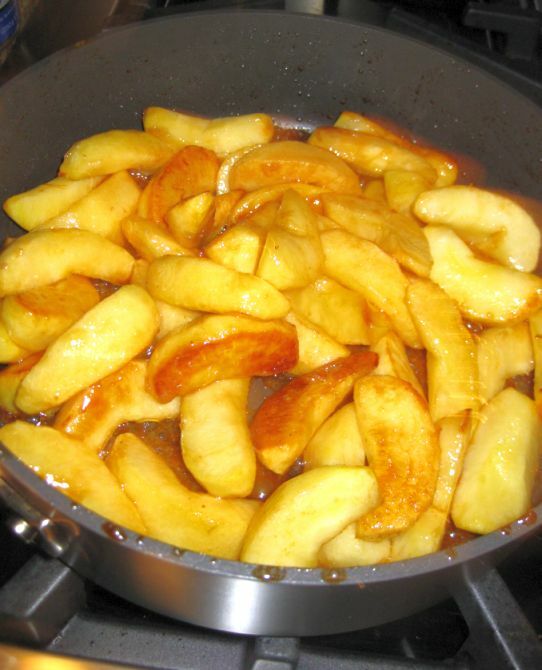 Cut the apples into 8 wedges per apples. 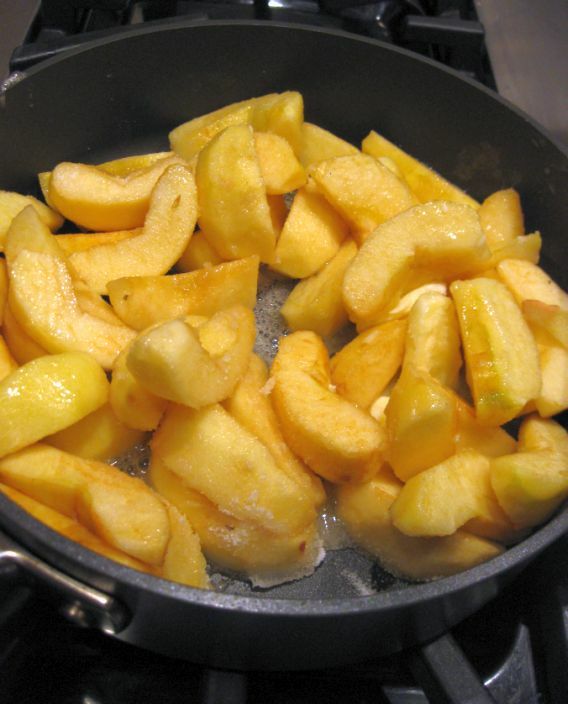 Put the apples into a large skillet, add the butter and sugar. 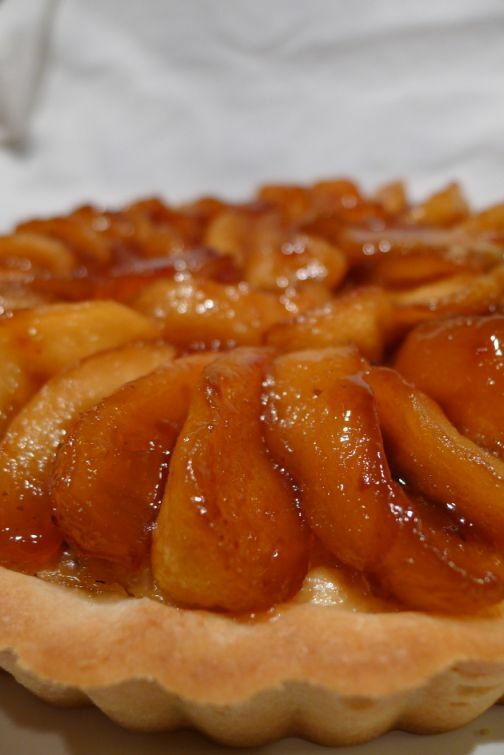 Rotate the apples once in a while until they are caramelized. Set a side. 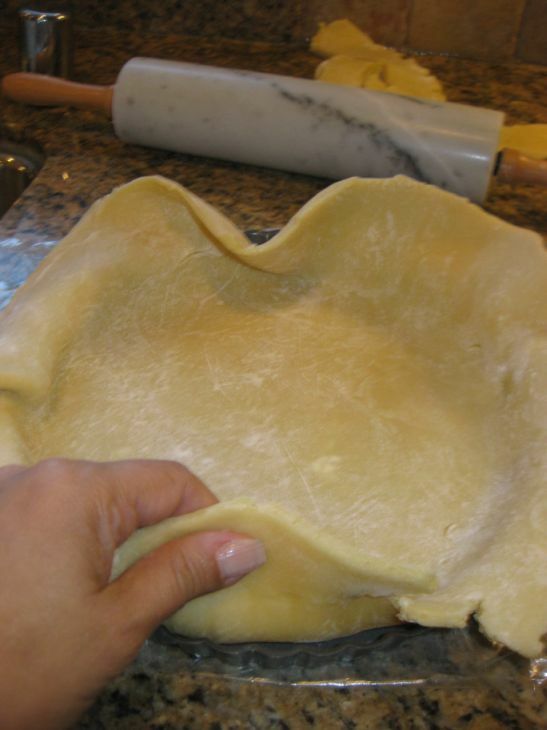 Roll out your Pâte Sablée with a rolling pin into a large circle 1/8 thick and at least 3 " wider than the size of the tart mold. 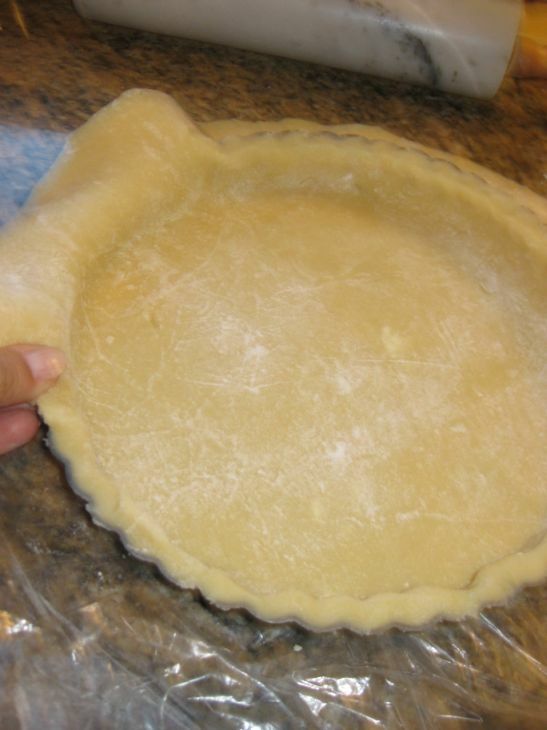 Put the dough on top of a tart mold. Trim overhang to fit the tart mold. 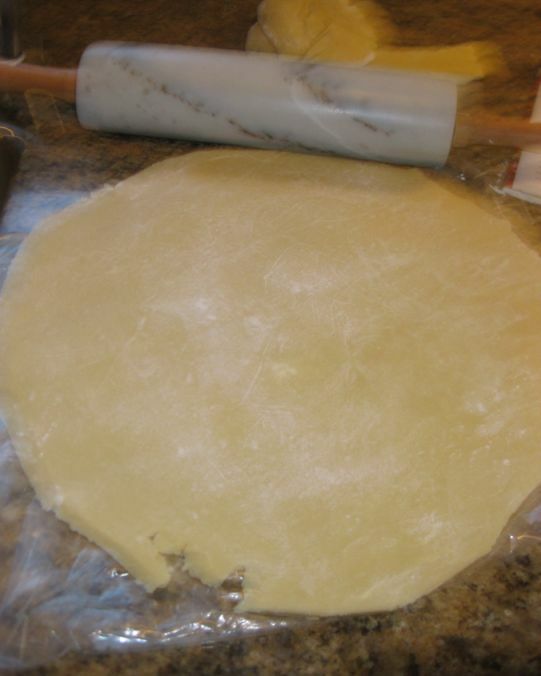 Put a sheet of was paper on top of the dough and fill it with weights. 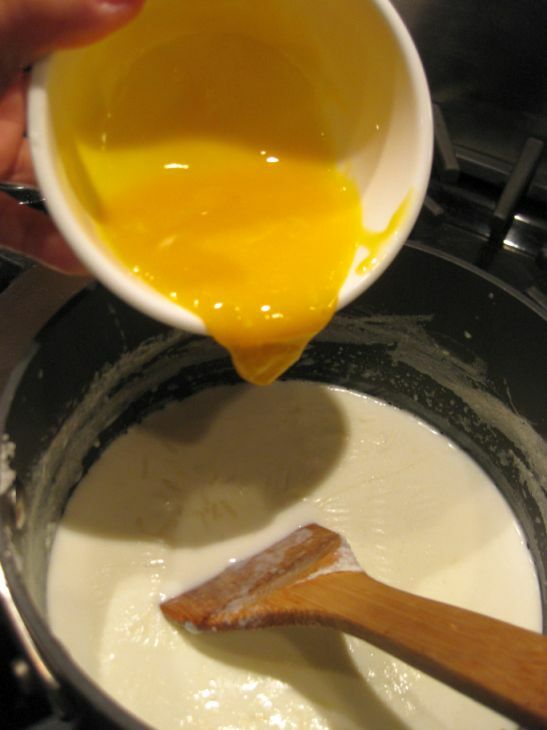 Bake in a preheat oven at 375 degrees for 8 minutes, remove the weights and wax paper. Return to the oven and bake for 2 more minutes. Remove to a wire rack to cool. Pour the rice mixture into the pre-baked crust. 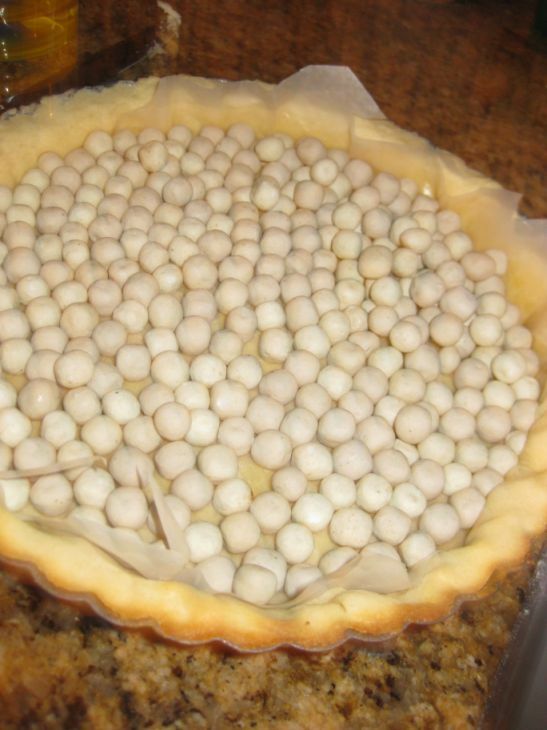 Bake the tart for 15 to 20 minutes or until the center of tart is set and not longer liquid. Place on a wire rack to cool down. 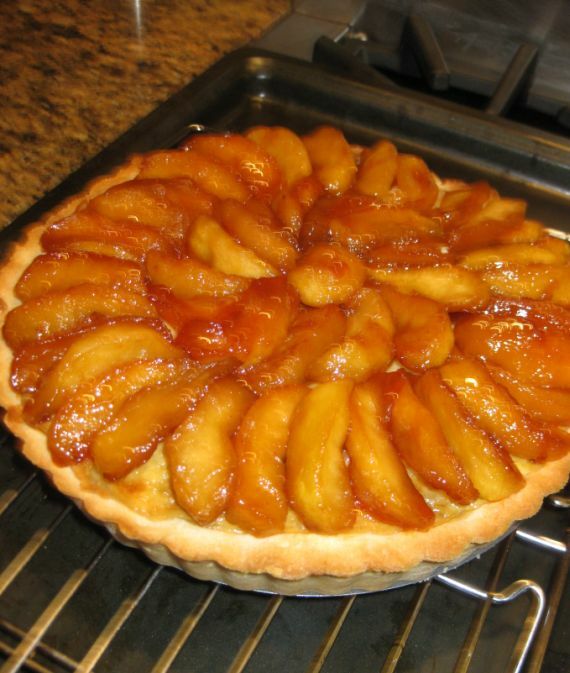 Once the tart is cooled down add the caramelized apples. 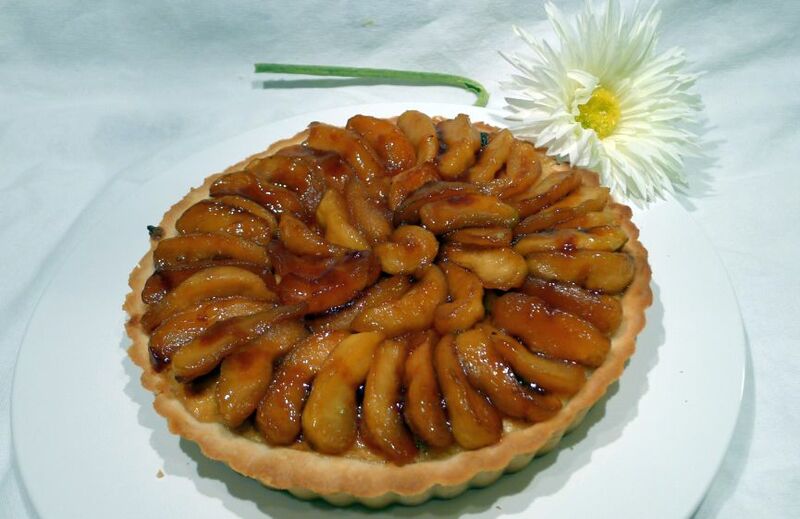 Arrange the apples slices into a spiral design on top of the tart, starting with the outside edge and working in. Brush the caramelized sauce left over in the pan over the apples.